*Residential clients only. Some restrictions may apply. Must be homeowner, minimum package purchase price of $1000. If financed contract required & upon approved credit. Additional installation and equipment charges may apply. Designed to fit your budget, Security Center USA provides the best in customized security solutions for your family your home and your business. These systems allow a homeowner to grant or limit access to their property, a room or closet in the home and even a pool, dock or workshop. Many of us have valuables such as jewelry, firearms or priceless family relics and we want to keep them safe our inaccessible. We design customized Access Control Solutions for all your needs that allow full control from your smart phone or tablet anytime and from anywhere. 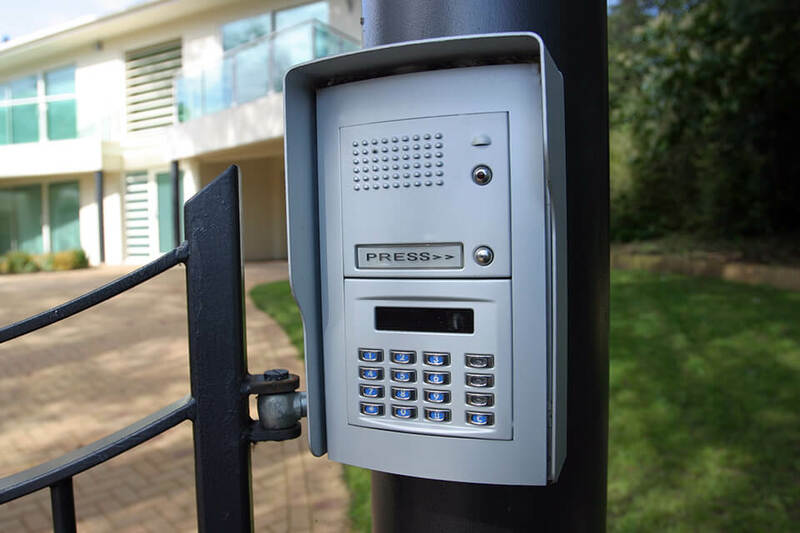 If you are looking for a private entry to your property requiring gate or arm controls coupled with a video intercom so you can be notified when someone comes to the gate we have you covered. You can even video chat with them while out of town and open the gate to allow access all from your smart phone. Maybe you just want to make sure the children can't get past the gate and onto to the dock in an effort to prevent an accident but still want to allow them to play in the backyard. Either way you need Security Center USA. With our outstanding technology, powerful parts and labor warranties and winning customer service you can't lose. Protecting your home and family, Security Center USA installs, services and monitors residential security systems custom designed to meet the unique needs of your family.